1915 - Amazing UNUSED Original SIX Sheet. The high quality of paper has allowed this historical piece to survive OVER 90 years and still in incredible condition. 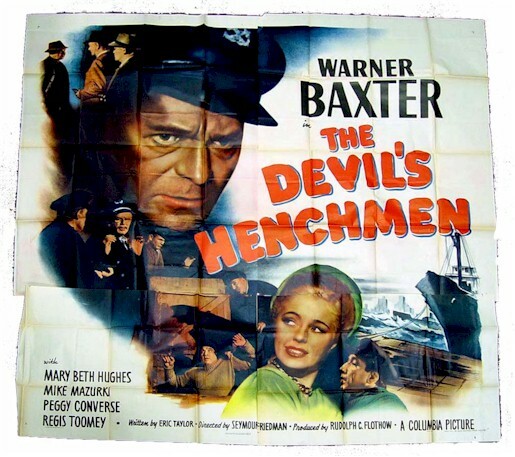 1949 - Rare six sheet starring Warner Baxter. Great graphics! Very good condition. 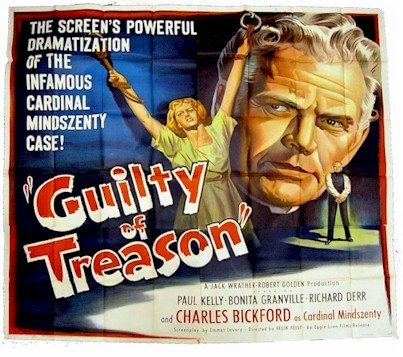 1944 - A specatcular vintage 6 sheet starring Walter Brennan. Excellent condition. 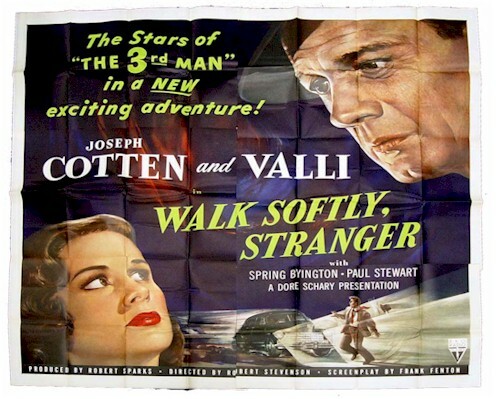 1950 - Here is a really STUNNING six sheet for the crime drama "Walk Softly Stranger" starring Joseph Cotton and Valli. The artwork is amazing and would look incredible displayed! Excellent condition. 1953 - What else needs to be said here? 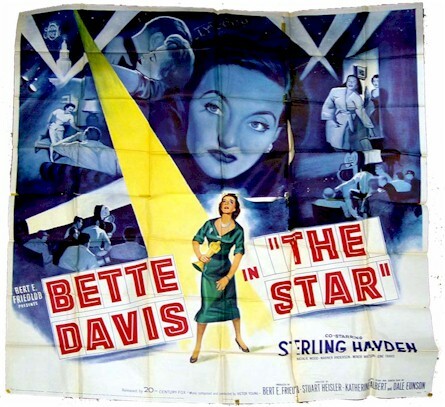 This Bette Davis classic six sheet movie poster exhibits stunning artwork! The ultimate find for the Bette Davis fan and vintage movie collector. Very good condition. 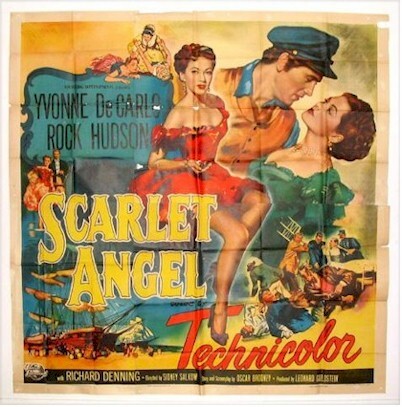 1952 - Breathtaking graphics in this Yvonne DeCarlo (AKA Lilly Munster) and Rock Hudson vintage six sheet. Verry good condition and would look great linen backed! 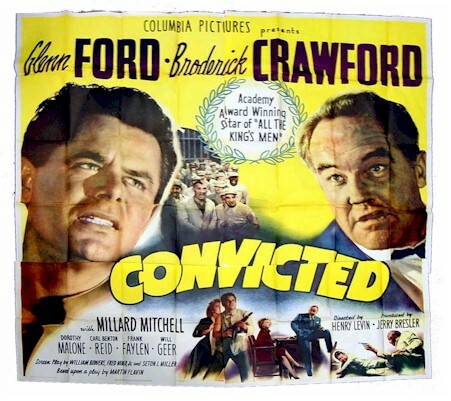 1950 - Nice vintage Glenn Ford - Broderick Crawford classic crime drama six sheet movie poster. Very good condition with stunning graphics and artwork! 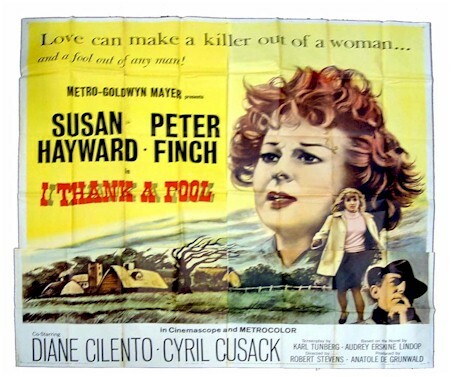 1962 - RARE Susan Hayward classic six sheet, "I Thank a Fool", also starring Peter Finch. Excellent condition. This is a 81x81" authentic, theater-used, Six Sheet movie poster for the 1948 Columbia Pictures release of "Slightly French," starring Dorothy Lamour, Don Ameche, Janis Carter and Willard Parker. 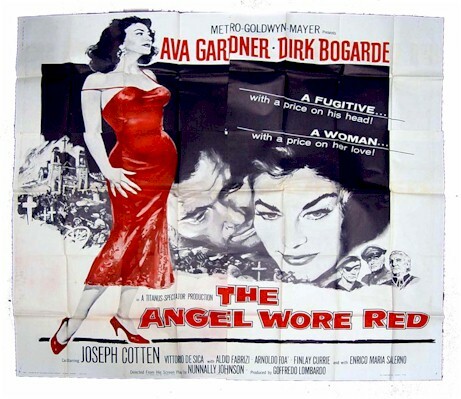 Directed by Douglas Sirk. Fine condition and great vintage artwork! 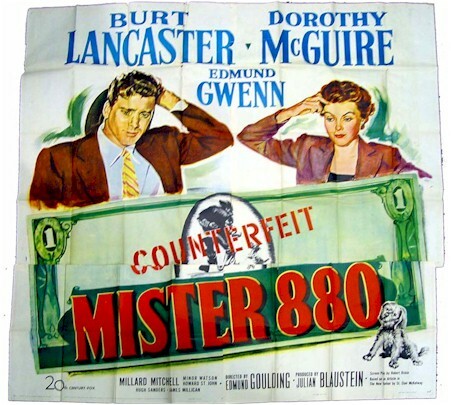 1950 - Here is a great vintage six sheet starring Burt Lancaster, Dorothy McGuire and Edmund Gwenn. Very good condition. 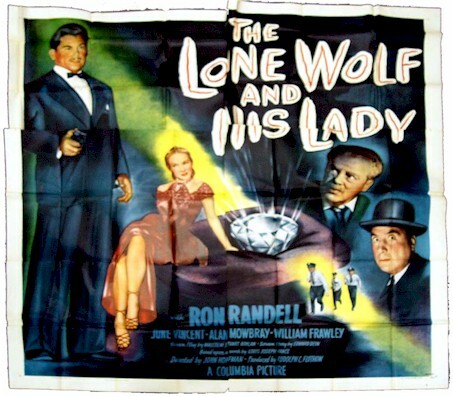 "The Lone Wolf and His Lady"
This is a 81x81" authentic, theater-used, Six Sheet movie poster for the 1949 Columbia Pictures release of "The Lone Wolf and His Lady," starring Ron Randell, June Vincent and William Frawley. 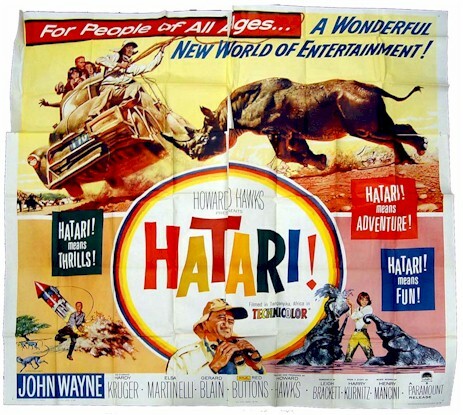 Directed by John Hoffman. Very good-fine condition. Stunning Graphics and artwork!! 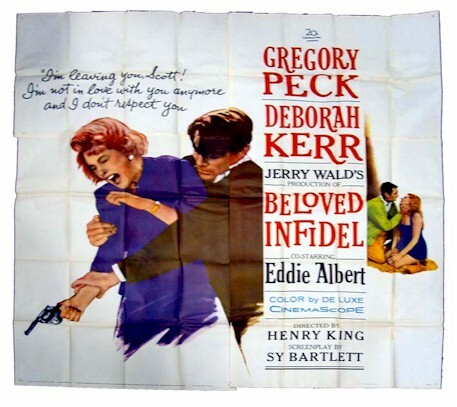 1959 - Gregory Peck, Deborah Kerr classic six sheet movie poster. Very good condition. 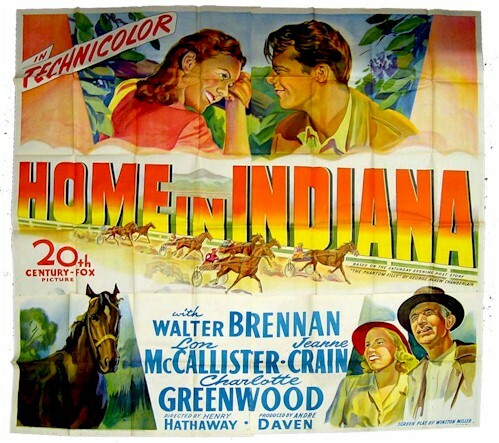 1948 - One of the nicest vintage posters we have seen. 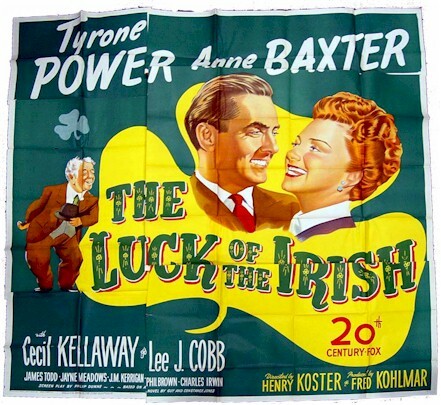 Starring Tyronne Power and Ann Baxter, this St Patty's day poster displays some beautiful artwork! 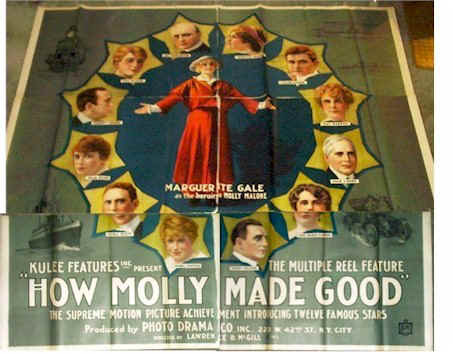 The only one we have ever seen of this title! 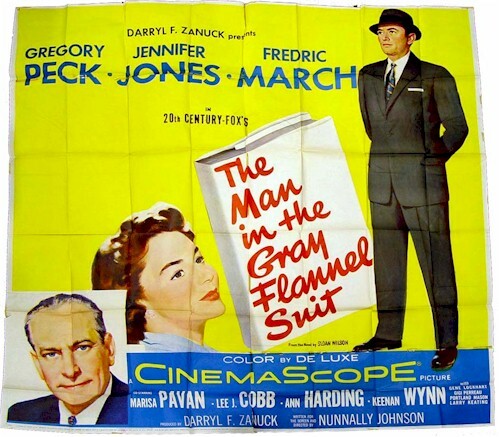 And, a RARE six sheet at that! Very fine condition with great graphics and artwork! 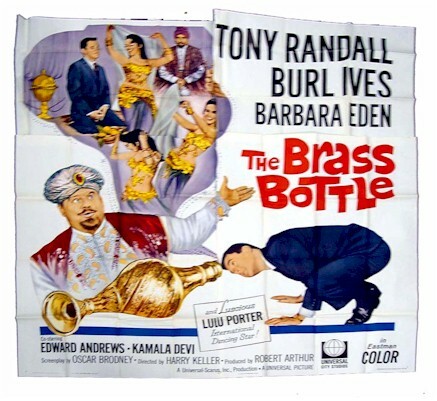 1965 - One of the most popular Sinatra films (and constantly shown on AMC). 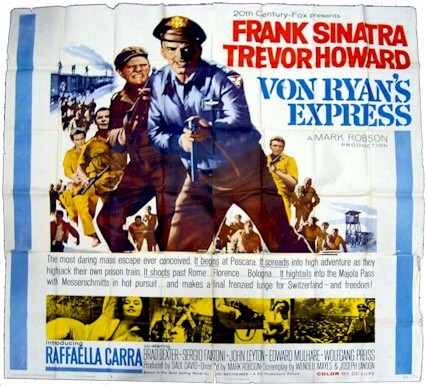 A great piece of vintage Sinatra artwork on this original six sheet movie poster. 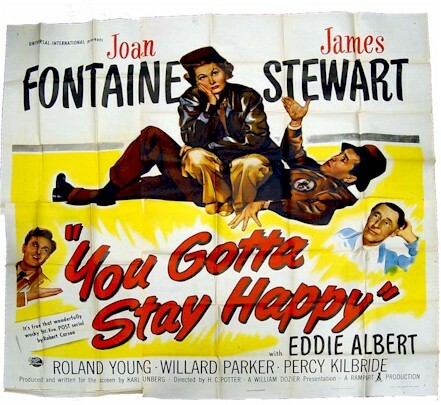 1948 - A great RARE James Stewart poster with great co-stars! Nice artwork.